We have in store for our clients, a highly sturdy and durable gamut of pressure relief valves that is complies with the latest technology. Highly acclaimed for their features of strength, dimensional accuracy and corrosion resistance, these pressure relief valves are available for our clients in standard and customized specifications. Our range includes pressure safety valves, stainless steel safety valves and stainless steel relief valves. 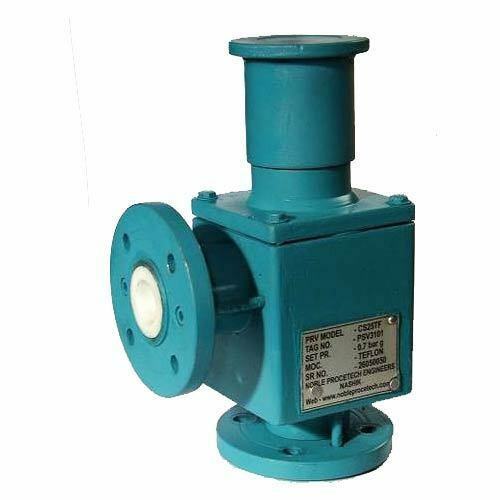 This Kind of Pressure Relief Valves are mainly used for Aggressive acids & gases. This can be operated up to 50 bar pressure and 90 degree temperature. 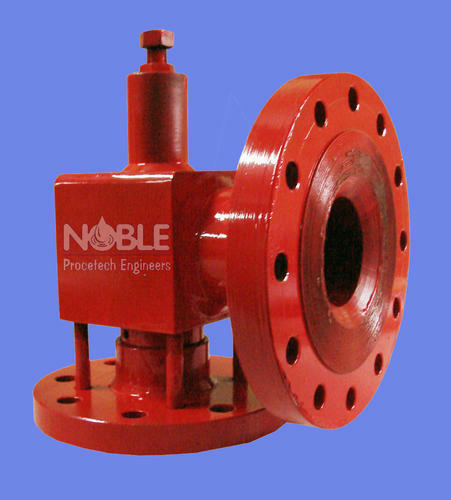 We manufacture premium pressure relief valves. 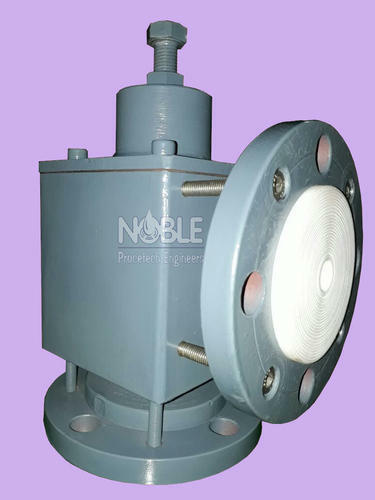 Fitted at the discharge end, these PTFE Pressure Relief Valves are used for curbing any damage or harm caused to the equipment and its components because of sudden increase in excessive pressure. We manufacture premium quality SS, MS, alloy steel, PP coated and non metallic raw material to fabricate a high end range of pressure relief valves. 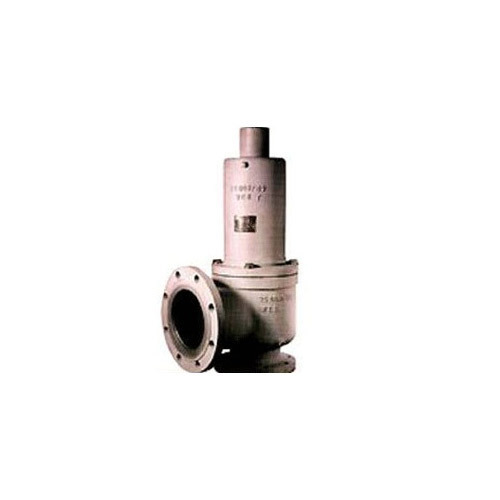 Fitted at the discharge end, these SS pressure relief valves are used for curbing any damage or harm caused to the equipment and its components because of sudden increase in excessive pressure. 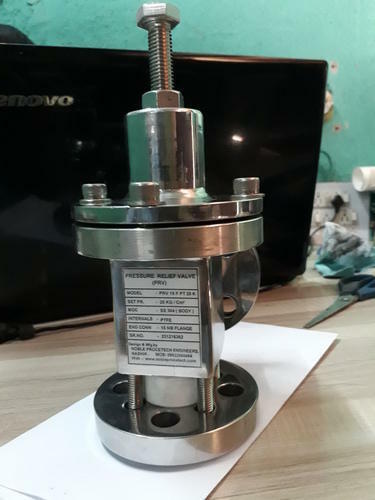 Pressure Relief Valve (Adjustable) offeredcan be made available by us in different finish configuration choices o as to match up with the specific process application demands of the customers. 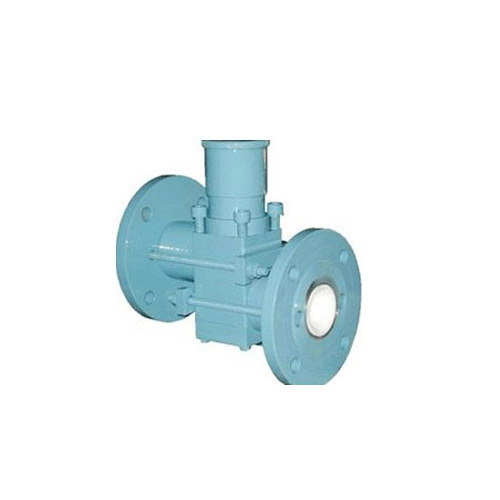 Safety Valve PTFE Lined offered comes supported by integrally moulded bonded body seat as well as in light weight construction finish so as to provide for lasting performance. Providing for cost effective working substitute, these can be provided with support of primary & secondary seals as well as with complete integral body lining support. Some of its features include available in different seat and disc combinations; find application in different industry sectors; provide for tight tolerance and uniform performance; available in ASTM/ASME standards; provide corrosion resistance in reducing and oxidizing environment. 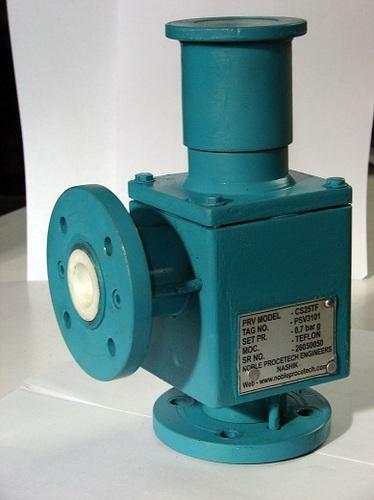 These kind of Pressure safety valves are to be used in aggressive gases acids. These PSV can be available in CS SS body. All internals, contact parts is in PTFE. 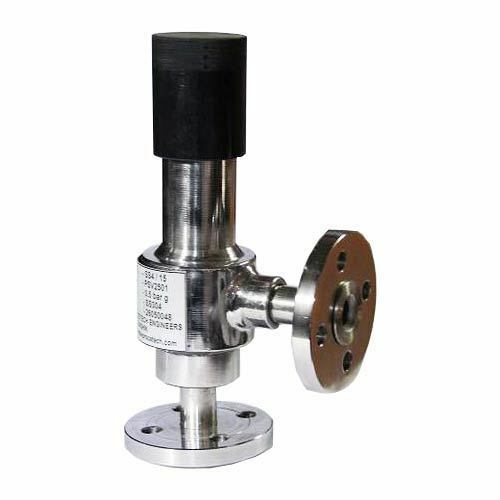 The pressure rating is 0.1 to 50kg/cm2. Looking for “Pressure Relief Valves”?